project, and giving back to those in need. I am humbled and inspired by her words and her choice. "What is a Good Feeling?" I was even just about ready to dance. The question is always asked: why not me?! Why can’t I be lucky! Waken me up oh mars. It’s now time to think beyond what is displayed and told. When I even dare to see reality. Oh how mighty and cool. This is in no way fair. People don’t live all rich and fancy. I’m at the right age to learn more about actuality. I want to leave some of my traces. For once in my life I am positive that this won’t be a mistake. This surely makes the most sense. The pendulum has definitely swung—our personal and home technology is now often better than what we are using in the office. It wasn’t always that way. Early on, technology was mysterious to those not professionally engaged as system engineers or IT professionals. Technology was expensive and made sense for business purposes, but not for home use. IT was a professional enabler to get the job done, but consumer applications were scarce and not intuitive for anything but the office. The world has turned upside down. Now as consumers, we are using the latest and greatest computers, smart phones, gaming devices, and software applications, including everything social media and e-Commerce, while in the office, we are running old operating systems, have nerdy phones, locked down computers, applications that aren’t web-enabled, and social media that is often blocked. What gives and why are we somehow loosing our technical edge in the workplace? Rapid Pace of Change—We have been on technological tear for the last 20 years now; virtually nothing is the same—from the Internet to cloud computing, from cell phones and pagers to smart phones and iPhones, from email to social media, and so much more. From a consumer perspective, we are enamored with the latest gadgets and capabilities to make our life easier and more enjoyable though technology. But at work, executives are tiring from the pace of technological change and the large IT budgets that are needed to keep up with the Jones. This is especially the case, as financial markets have seized in the last few years, credit has tightened, revenue and profitability has been under extreme pressure, and many companies have laid off employees and others have even gone kaput. Magnificent Technology Failures—Along with the rapid pace of change, has come huge IT project failure rates. The Standish group reported this year that 82% of IT projects are failing or seriously challenged. Why in the world would corporate executives want to invest more money, when their past and present IT investments have been flushed down the toilet? Executives have lost faith in IT’s ability to upgrade their legacy systems and fulfill the promises behind the slew of IT investments already made. Related to this is the question of true cost-benefit and total cost of ownership of all the new technologies and their associated investments—if we haven’t been able to achieve or show the return on investment on all the prior investments, why should we continue investing and investing? Is the payoff really there? Perhaps, we are better off putting the dollars into meeting core mission requirements and not overhead, like IT? Security Risks Abound—With all the technology has come a whole new organizational risk set in terms of IT security. Organizations are hostage to cyber criminals, terrorists, and hostile nation states who can with a few keyboard strokes or mouse clicks disable the company transaction capability, wipe out its memory, steal its information, or otherwise neutralize it from functioning. And the more technology we add, the more the risk level seems to increase. For example, the thinking goes that we were safer when we ran everything in a locked down, tightly controlled, mainframe environment. The more we push the envelope on this and have moved to client server, the web, and now to even more transparency, information sharing, and collaboration—through social media, cloud computing, and World 2.0—the thinking is that we are potentially more open to local and global threats than ever before. Further, with the nation under virtually constant cyberattack and our capabilities to slow or stop these attacks seemingly not existent at this time, executives are reluctant to open up the technology vulnerability spigot any further. While there are many other reasons slowing or impeding our technology adoption at work, we cannot stop our march of IT advancement and progress. We are in a global competitive marketplace and the world waits for no one. The problems resulting from the speed and cost of change, the high IT project failure-rate, and the cybersecurity danger/challenges cannot be allowed to inhibit us from progress. We must address these issues head on: We have got to achieve efficiencies from technological advancement and plow the cost-savings into next generation technologies. We have got to drastically improve our IT project success rate though mature implementations of enterprise architecture, IT governance, project management, customer relationship management, and performance measurement (Reference: The CIO Support Services Framework). And we must invest heavily in IT security—with money, people, policy, training, new technology safeguards, and more. Innovation, technological prowess, and information superiority is what gives us our edge—it is tip of our spear. So yes, we must carefully plan/architect, wisely invest, execute well, and secure our IT. But no, we cannot dismiss the evolving technologies outright nor jump in without proper controls. We must move rationally, but determined into the future. Fortune Magazine (23 November 2009) named Steve Jobs of Apple, the CEO of the decade. Steve Jobs’ unveiled his “digital lifestyle” strategy in 2000 when Apple was worth about $5 billion. Now almost a decade later, Apple is worth about $170 billion—slightly more than Google. Apple has revolutionized the markets for music, movies, mobile telephones, as well as computing. Customer is #1—Apple’s products satisfy customers. “He may not pay attention to customer research, but he works slavishly to make products customers will buy.” There is intuitiveness to Steve Jobs’ understanding of people and technology. He knows what customers want even if they don’t or can’t articulate it and he designs the technology around the customer. Think iPhone, iPod, and Mac—they are some of the easiest and most customer friendly technologies out there; hence 100,000 applications for the iPhone, 73% of the MP3 player market, and some of the best PCs on the market today. Innovation is key—Apple is consistently ahead of the curve. Their products are leaders, not follower-copycats. Despite losing the PC wars to Microsoft Windows, the Mac operating system, functionality, and design has been the one setting the standard for ease of use, speed, and security. The iTunes/iPod completely upended the music and movie industry, and the iPhone is the envy of just about every professional and consumer out there who doesn’t yet own one. Design Genius—The design of Apple’s products are sheer genius. They are sleek, elegant, compact, mobile, yet user-friendly—they are timeless, and pieces such as the G4 Cube have actually been showcased in The Museum of Modern Art and The Digital Design Museum. Even the Apple store in Manhattan with its winding glass staircases and cube entrance is a tourist destination in NYC. Big Picture, Little Picture—Jobs is a master of balancing the strategic and tactical aspects of product execution. Jobs set the vision, but is also involved in the execution. “He’s involved in details you wouldn’t think a CEO would be involved in.” Apple is his passion and his desire for virtual perfection comes across the spectrum of both product and service from the company. “Mastery of the Message—he rehearses over and over every line he and others utter in public about Apple.” And it’s not only the contents of the message, but also the timing. Jobs knows how to keep a product launch secret until just the right moment. MacWorld, for example, has been used to strategically communicate the launch of new products, and this has kept both Apple fans and competitors closely tuned to these events. Steve Jobs is a true model of leadership excellence due in no small measure to his relentless pursuit comprehensive product solutions based on innovation, design excellence, and customer service excellence. On November 4-5 2009, I attended a good CSC Leading Edge Forum on Cloud Computing. The kickoff by W. Brain Arthur was a highlight for me (he is the author of The Nature of Technology). He provided an excellent conceptualization of cloud and it’s place in overall technology advancement and body of world innovation. Essentially, he sees cloud in the 2000’s as the next evolution from the Internet in the 1990s. As such, the cloud is computational power in the “virtual world,” providing a host of benefits including easy access, connectivity, and cost efficiency. He sees the cloud coming out of the initial frenzy and into a industry sort-out that will result in a stable build out. Another great speaker was David Moschelle from CSC who talked about the myriad benefits of moving to cloud such as scalability, self-service, pay as you go, agility, and ability to assemble and disassemble needed components virtually on the fly. With the cloud, we no longer have to own the computing means of production. Of course, we also talked about the challenges, particularly security. Another speaker also spoke about the latency issues on the WAN with cloud, which currently limits some usability for transactional processing. Over the course of the forum numerous examples of success were given including Bechtel achieving a 90% cost advantage by moving storage to the cloud. Others, such as Amazon were able to put up new web sites in 3 weeks versus 4-6 months previously. Also, Educational Testing Service as another example is using cloud bursting, since they tend to run data center at known cyclical peaks. In all cases, the examples demonstrated that organizations do not have a lot of leeway with SLAs with cloud providers. It’s pretty much a take it or leave it proposition. With liability to the vendor for an outage being limited to basically the cost of the service, not the cost of lost business or organizational downtime. However, it was noted that these mega-vendors providing cloud services probably have a better availability and security than it’s customers could have on their own. In other words, an outage or security breach will either way cost, and where is there a greater chance of this happening? Sort of a good summary was this: “Leading companies are moving development/test and disaster recovery to the cloud,” but then this will reverse and companies will actually move their production in the cloud and provide mainly a back up and recovery capability in house. This is similar to how we handle energy now, were we get our electricity from the utilities, but have a back-up generator should the lights go dark. What’s so of baffling is that these overruns occurred despite the agency’s use of earned value management. These finding are expected to drive the 2009 Information Technology Oversight and Waste Prevention Act to increase oversight of IT investments. 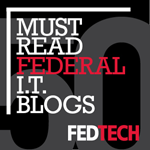 This bill calls for “a Web site to publish information on the status of federal IT investments, similar to the Federal IT Dashboard,” but with more accurate data and with explanations on why projects are over budget. Certainly, the use of measurements and dashboards to display and track these are helpful in understanding how we are doing in managing our IT investments—so they are on schedule, within budget, and to customer specification. Clearly, we can only begin to better manage that which we measure and track. Our IT investments and their execution are no longer a black box or so it’s supposed to work. Transparency—This is a concept that is in common use these days, and we need to continue to put it in action. All IT investments need to be measured, not just the “major” ones, and their success and failures need to be visible. The purpose must not to scrutinize or shame project managers, but to be able to genuinely guide projects to successful conclusions. This is what the control phase of capital planning and investment control is all about. We need to course correct projects early and often, if necessary, before they are billions of dollars out of control. Honesty in Reporting—Projects need to be reported accurately—no gaming the system. If the facts are sugarcoated or whitewashed, then no dashboard in the world is going to catch the problems that are misreported to begin with. Unfortunately with project management, the elements of scope, schedule, and cost can be manipulated to make it seem as if a project is okay, when it isn’t. One example is de-scoping the project to enable a delivery on schedule and on cost, even though what’s being delivered is not what was asked for or agreed upon. Skills Enhancement—With better measurement of IT investments, we need to provide more training to our project managers. We can’t just expect perfection day 1. We need to work with people and grow them to be better project managers. We can do this with training, mentoring, coaching, and so on. Remember, it’s generally the people that make the IT project a success or failure, not the technology—so let’s invest in our people to make them better project managers. Accountability—We shouldn’t be looking to exact a pound of flesh for genuine human foibles—mistakes do happen. But at the same time, people must be held accountable for fraud, waste, and abuse. Sometimes, people get complacent and they need a reminder that there are real implications to an IT project’s success or failure—mission and people are depending on you to do your job, so you had better do it responsibly and to the best of your ability. Continuous Improvement—Ever since business school, I’ve always loved the Japanese management practice of Kaizen—continuous improvement. This concept is right on the mark with our IT investment and project execution. We are not going to magically put up a dashboard and whoola—better IT projects. It’s going to be a process, a transformation over time. We need to incrementally improve our IT project success rate through learning measurement, and best practices implementation. Of course, time is money, and we need to move quickly, but we do not want to artificially create the appearance of short-term performance improvement at the expense of genuine long-term success. All the power to IT performance measurement and dashboarding, but with the absolute commitment to not only track and measure, but also grow and improve our customer results. It’s not a gotcha that we need, but a how can we help you succeed. Recently, I read this amazing poem called "Autobiography in Five Short Chapters" by Portia Nelson (see below). It's about the learning and healing process. It can apply to individuals as well as organizations. It's about learning from our mistakes, growing from them and changing accordingly. This is one of the purposes of life. All too often, we get stuck in a misguided way of thinking, a "bad" behavior, or in the case of an organization--a dysfunctional status quo. But it is possible to break harmful paradigms and to change for the better. Dysfunction is as much about habit and accepting the status quo as it is about the challenge of change. But growing beyond the dysfunction is possible and rewarding. And one for "good luck"...We don't change for change's sake, but to literally avoid the pitfalls that can sink us. I walk down the street. There is a deep hole in the sidewalk I fall in. I am lost ... I am helpless. It isn't my fault. It takes me forever to find a way out. I walk down the same street. There is a deep hole in the sidewalk. I see it is there. I still fall in ... it's a habit. my eyes are open I know where I am. It is my fault. I get out immediately. As a nation are we overworked? Are we just showing up, doing what we're told, and making the same mistakes again and again? Robert Reich, the former Labor Secretary and Professor at University of California at Berkeley, says that we are more than ever a nation of workaholics. Reich says to temper our workaholic lifestyles, we need to “understand that the quality of work is much more important than the quantity.” Honestly, that doesn’t seem to answer the question, since quality (not just quantity) takes hard work and a lot of time too. In terms of supercharged programs, I have seen enterprise architecture programs working "fast and furious," others that were steady, and still some that were just slow and sometimes to the point of "all stop" in terms of any productivity or forward momentum. Unlike IT operations that have to keep the lights on, the servers humming, and phones working, EA tends to be considered all too often as pure “overhead” that can be cut at the slightest whim of budget hawks. This can be a huge strategic mistake for CIOs and organizational leaders who thus behave in a penny-wise and dollar foolish manner. Sure, operations keep the lights on, but EA ensures that IT investments are planned, strategically aligned, compliant, technically sound, and cost-effective. A solid EA program takes us out of the day-to-day firefighting mode and operational morass, and puts the CIO and business leaders back in the strategic "driver's seat" for transforming and modernizating the organization. In fact, enterprise architecture addresses the very concerns that Reich points to in our Supercapitalistic times: To address the big issues of globalization, competition, and the rapid pace of change, we need genuine planning and governance, not just knee jerk reactions and firefighting. Big, important, high impact problems generally don't get solved by themselves, but rather they need high-level attention, innovative thinking, and group problem solving, and general committment and resources to make headway. This means we can't just focus on the daily grind. We need to extricate ourselves and think beyond today. And that's exactly what real enterprise architecture is all about. Recently, I heard some colleagues at a IT conference say that EA was all bluster and wasn't worth the work and investment. I strongly disagree. Perhaps, a poorly implemented architecture program may not be worth the paper it's plans are printed on. And unfortunately, there are too many of these faux enterprise architecture programs around and these give the rest a bad rap. However, a genuine user-centric enterprise architecture and IT governance program is invaluable in keeping the IT organization from running on a diet of daily chaos: not a good thing for the mission and business that IT supports. Organizations can and will work smarter, rather than just harder, with strong enterprise architecture, sound IT governance, and sound business and IT processes. It the nature of planning ahead rather than just hoping for the best. At work, there is almost no greater feeling than being part of a high-performing team, and no worse than being part of a dysfunctional one. Teams are not, by definition, destined to succeed. In fact more often then not, they will fail unless they have the right mix of people, purpose, process, commitment, training, and of course, leadership—along with the time for it all to jell. I remember being on a team in one special law enforcement agency that had the “right mix.” The project was both very successful and was written up as a case study, and everything in the project was really fulfilling personally and professionally: from gathering around the whiteboard for creative strategy sessions to the execution of each phase of the project. Now, that is not to say that there were not challenges on the project and on the team—there always are—or you are probably just dreaming rather than really in the office working. But the overall, in the experience, the health of the team was conducive to doing some really cool stuff. When the team is healthy and the project successful, you feel good about getting up in the morning and going to work—an almost priceless experience. The challenge of putting together high-performance teams is described in Harvard Business Review, May 2009, in an article, “Why Teams Don’t Work,” by Diane Coutu. “Teams must be real”—you need the right mix of people: who’s in and who’s out. “Compelling direction”—teams need a clear purpose: “what they’re supposed to be doing” and is it meaningful. “Enabling structures”—teams need process: how are things going to get done and by whom. “Supportive organization”—teams need the commitment of the organization and its leadership: who is championing and sponsoring the team. “Expert coaching”—you need training: how teams are supposed to behave and produce. While leadership is not called out specifically, to me it is the “secret sauce” or the glue that holds all the other team enablers together. The skilled leader knows who to put on the team, how to motivate its members to want to succeed, how to structure the group to be productive and effective, how to build and maintain commitment, and how to coach, counsel, mentor, and ensure adequate training and tools for the team members. One other critical element that Coutu spells out is courage. Team leaders and members need to have the courage to innovate, “ask difficult questions,” to counter various forms of active or passive resistance, and to experiment. In short, harnessing the strength of a team means bringing out the best in everyone, making sure that the strengths and weaknesses of the individuals offset each other—there is true synergy in working together. In failing teams, everyone might as well stay home. In high-performance teams, the whole team is greater than the sum of its individual members. As technology has advanced in leaps and bounds over the last 30 years, so has the number of information devices—from phones to faxes, pagers to PDAs, desktops to Netbooks—and it goes on and on. Some devices, despite having outlived their useful lives, have been slow to disappear from the scene completely. For example, fax machines are still in our offices and homes, although now often combined with other de- vices such as the “all-in-one” copier, printer, scanner, and fax. However, why with the ability to scan and e-mail with attachments, do we even need to fax at all anymore? Similarly, at one time, pagers were all the rave to reach someone 911. Then cell phones and PDAs took over the scene. Nevertheless, paging never fully went away; instead, it was replaced by “press 1 to send this per- son a page.” However, why do we need to page them at all anymore, if we can just leave them a voice mail or instant message? It seems as if legacy technology often just doesn’t want to die, and instead of sun-setting it, we just keep packaging it into the next device, like the phone that comes with e-mail, instant messaging, texting, and more. How many ways do we need to say hello, how are you, and what time will you be home for dinner? When is technology enough and when is it too much? Of course, we want and love choice—heck, we’re consumers to the core. Technology choice is like having the perfect outfit for every occasion; we like to have the “right” technology to reach out to others in a myriad of different ways for every occasion. Should I send you an e-mail on Facebook or should I “poke” you or perhaps we should just chat? Or maybe I should just send you a Tweet or a “direct message” on Twitter? No, better yet, why don’t I send you a message on LinkedIn? Anyway, I could go on for about another three paragraphs at least on how I should/could contact you. Maybe I’ll hit you up on all of them at the same time and drive you a little nuts, or maybe I’ll vary the communications to appear oh so technically versatile and fashionable. start to become costly after a while. I can tell you from my cell phone bill that the cost of all these options— e-mail, texting, Internet, and so on—definitely starts to add up. And don’t forget all the devices that we have to schlep around on our belts (I have one cell phone on each side—it’s so cool, like a gunslinger from the Wild West), pockets, and bags—where did I leave that de- vice? Let’s not forget the energy consumption and eco- unfriendliness of all these gadgets and all the messy wires. Additionally, from a time-is-precious perspective, consider the time sinkhole we have dug for ourselves by trying to maintain a presence on all of these devices and social networking sites. How many hours have we spent trying to keep up and check them all (I’m not sure I can fully remember all my e-mail accounts anymore)? And if you don’t have single sign-on, then all the more hassle— by the way, where did I hide my list of passwords? Next out of the gate is unified communications. Let’s interoperate all those voice mail accounts, e-mail ac- counts, IM, presence, and social media communications. Not only will your phone numbers ring to one master, but also your phone will transcribe your voice mails— i.e., you can read your voice mail. Conversely, you can listen to your e-mail with text-to-speech capability. We can run voice-over-IP to cut the traditional phone bill and speed up communications, and we can share nonreal-time communications such as e-mail and voice mail with real-time communication systems like our phone. So, we continue to integrate different communication mediums, but still are not coalescing around a basic device. I believe the “communicator” on Star-Trek was a single device to get to someone on the Enterprise or on the planet surface with just the tap of a finger. Perhaps, our reality will some day be simpler and more efficient, too. When we tire of playing with our oodles of technology “toys” and signing up for myriad user accounts, we will choose eloquence and simplicity over disjointed—or even unified—communications. The closest we’ve come so far is probably the Apple iPhone, but with some 50,000 apps and counting, it is again too focused on the application or technology to be used, rather than on the user and the need. In the end, it’s not how many devices or how many accounts or how many mediums we have to communicate with, but it is the communication itself that must be the focus. The 1C of the future is an enabler for the communication—anytime, anywhere, the right information to the right people. The how shouldn’t be a concern for the user, only the what. Decision-making is something we have to do every day as individuals and as organizations, yet often we end up making some very bad decisions and thus some costly mistakes. Improving the decision-making process is critical to keeping us safe, sound, and stably advancing toward the achievement of our goals. All too often decisions are made based on gut, intuition, politics, and subjective management whim. This is almost as good as flipping a coin or rolling a pair of dice. Disciplines such as enterprise architecture planning and governance attempt to improve on the decision-making process by establishing a strategic roadmap and then guiding the organization toward the target architecture through governance boards that vet and validate decisions based on return on investment, risk mitigation, alignment to strategic business goals, and compliance to technical standards and architecture. In essence, decisions are taken out of the realm of the “I think” or “I feel” phenomenon and into the order of larger group analysis and toward true information-based decision-making. While no decision process is perfect, the mere presence of an orderly process with “quality gates” and gatekeepers helps to mitigate reckless decisions. Identification—What decision needs to be made and which are most important? Inventory—What are the factors or attributes for making each decision? Intervention—What is the process, roles, and systems for decision-making? Institutionalization—How do we establish sound decision-making ongoingly through training, measurement, and process improvement? It is interesting that Davenport’s business management approach is so closely aligned with IT management best practices such as enterprise architecture and capital planning and investment control (CPIC). Is shows that the two disciplines are in sync and moving together toward optimized decision-making. One other point I’d like to make is that even with the best processes and intentions, organizations may stumble when it comes to decision making because they fail into various decision traps based on things like: groupthink, silo-thinking and turf battles, analysis paralysis, autocratic leadership, cultures where employees fear making mistakes or where innovation is discouraged or even frowned upon, and various other dysfunctional impediments to sound decision-making. Each of these areas could easily be a discourse in and of themselves. The point however is that getting to better decision-making is not a simple thing that can be achieved through articulating a new processes or standing up a new governance board alone. We cannot delegate good decision-making or write a cursory business case and voila the decision is a good one. Rather optimizing decision-making processes is an ongoing endeavor and not a one-time event. It requires genuine commitment, participation, transparency, and plenty of information sharing and collaboration across the enterprise.